The Dow is up 75 points pre-market, back at 26,700 and the Nasdaq is testing the 7,600 line, which will certainly be bullish if they break over it but, until then, I like /NQ as a short with tight stops above. 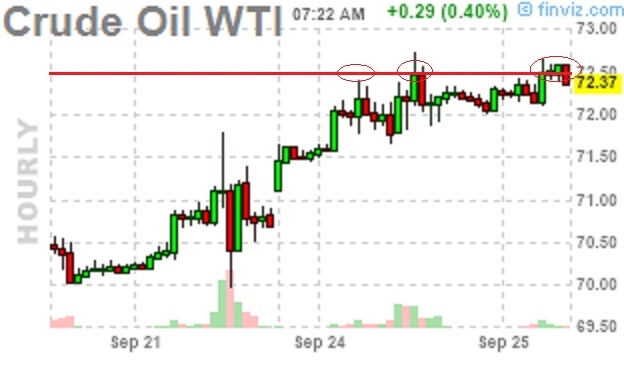 We also re-shorted Oil (/CL) Futures at $72.50 this morning – also with tight stops above as it sets a nice, positive risk/reward ratio to do so. We made $500 shorting /CL yesterday on an 0.50 drop and about the same on Gasoline (/RB) as it fell so no reason not to give them another chance to make us money, right? 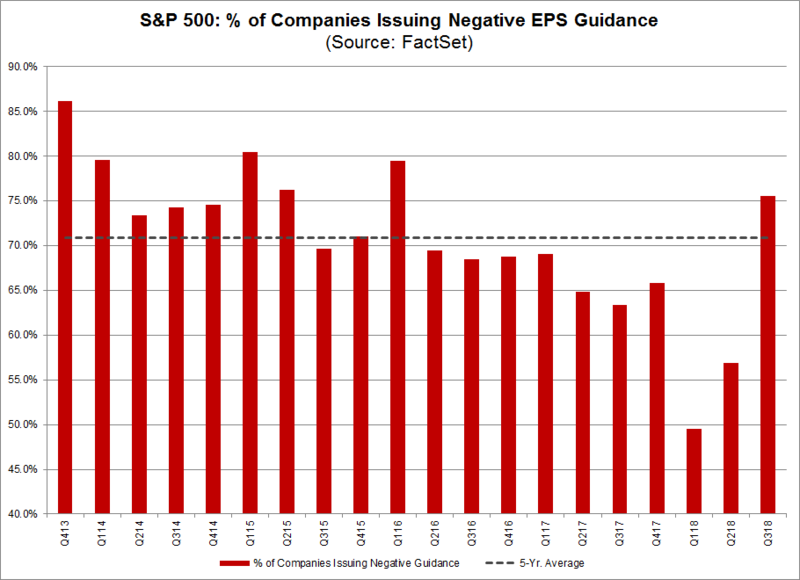 Keep in mind that figure is WITH all the buybacks and WITH all the M&A activity and WITH the still-low interest rates and WITH what is still $60Bn/month in QE, though that may change on Wednesday if the Fed begins to pull back – as it has said it was planning to do. 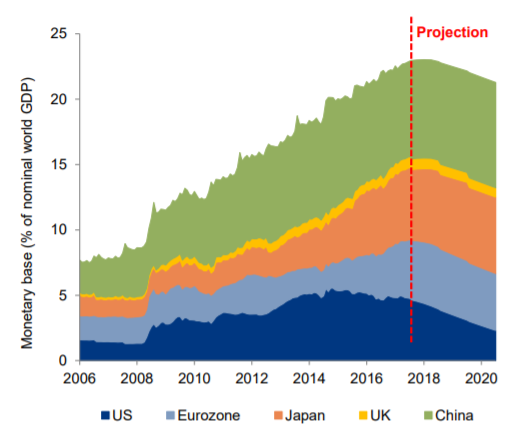 Though our Fed has begun to somewhat unwind their QE program, the rest of the World's QE is only just now hitting its peak, so of course the markets are at record highs when there are record amounts of money chasing equities but this (2018) should mark the end of the Global Liquidity Boom and now comes the reduction – a slow and painful process that will be with us for years as the Central Banksters race to drain the monetary swamp before all those Dollars lying around begin to turn inflationary.